The Natalie Dress in lilac blossom by Parker delivers a lot of style and sweet details. This silk georgette mini-dress with a flirty tiered-ruffle design, flutter sleeves and wrap styling is flattering on all body-types. The Natalie dress will easily go from day to evening effortlessly. It’s an ideal dress to consider wearing for Easter, Mother’s Day, graduations, Sunday brunch, while on vacation, and it’s the perfect date-night dress. 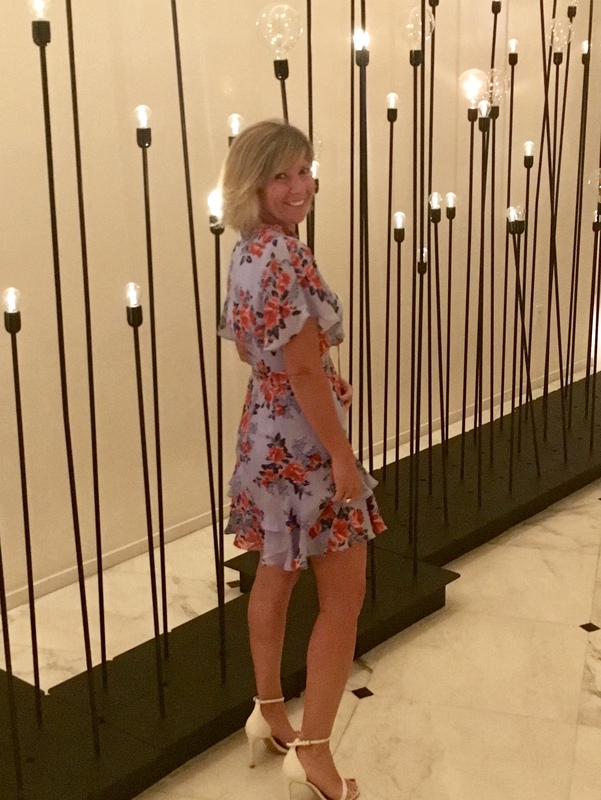 I featured this dress last week on my blog – “Shop My Picks for Spring’s Floral Trend” and I even styled my sister in it for a recent trip to Miami (see photo below). 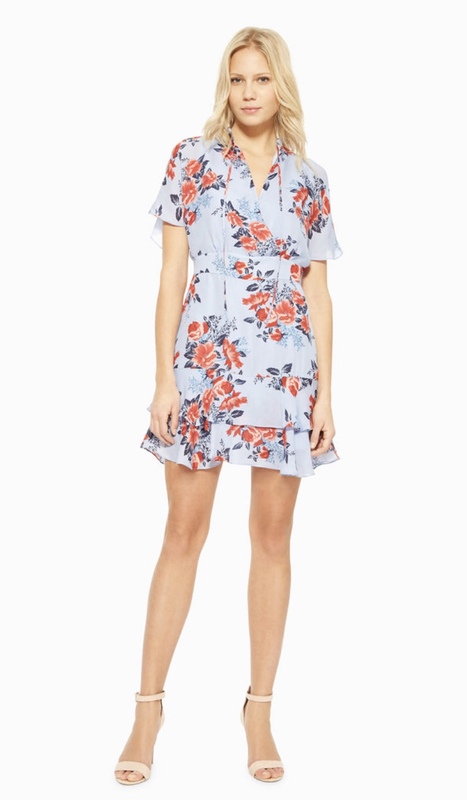 If you are looking for the perfect floral dress, look no further. Happy floral dress shopping!